Attendees at the International Consumer Electronics Show in Las Vegas are getting a first-hand look at the future of mobility, and it is cleaner, safer and more convenient. Toyota is showcasing a host of automated, connected and zero-emission technologies at CES 2016. Toyota’s exhibit, located in the North Hall of the Las Vegas Convention Center, builds on major announcements from the company in the lead up to CES and showcases both the company’s vision for connected vehicles and the potential of artificial intelligence to improve driving safety. The TOYOTA Smart Center, the heart of Toyota’s vision for a Smart Mobility Society that connects people, vehicles and communities. The powerful, secure and private cloud-based computing system collects secure vehicle data, analyzes information from millions of vehicles around the globe and provides customers with personalized services that make life easier. Next generation connected service systems such as Agent+, which leverages multiple factors including day, time, location and driving history to predict likely destinations and help guide you there quickly and efficiently. The Mobility Teammate Concept, which demonstrates Toyota’s more than 20 years of research and development into automated driving technologies. The vehicle showcases Toyota’s approach to automated driving – building relationships between people and cars to help them team up in pursuit of safe and enjoyable driving. This approach acknowledges the utility of automated driving technologies while maintaining the fun experience of driving itself. A deep learning and artificial intelligence display, where scale model Prius connected vehicles learn from and share with each other in real time to create a safe driving environment. 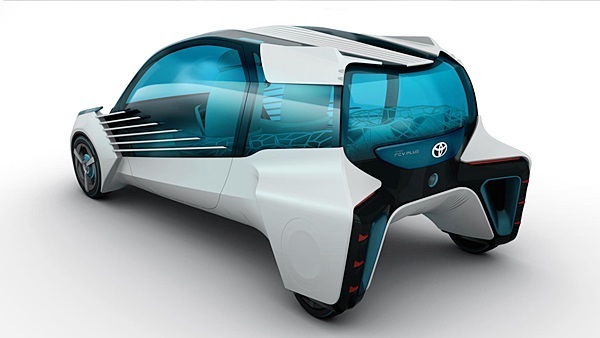 Toyota FCV Plus concept vehicle, which demonstrates Toyota’s vision of a connected, sustainable hydrogen society. 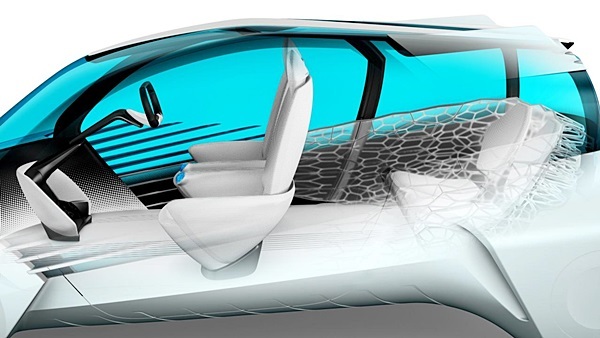 The concept vehicle showcases the potential of hydrogen fuel cell technology beyond just the automotive industry, and is capable generating electricity directly from hydrogen stored outside the vehicle and thus operating as a stable source of electric power for use at home or on the go. 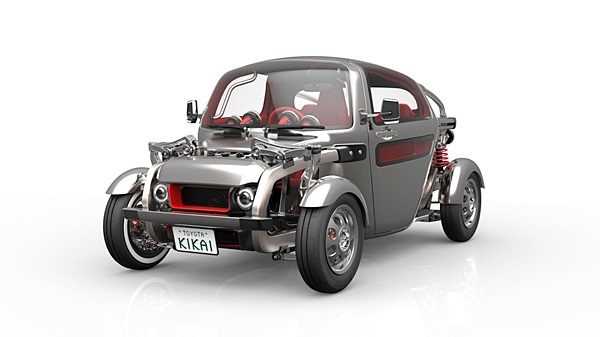 The Toyota Kikai, meaning “machine” which brings the machinery of the vehicle out from beneath the body and makes an open display of its beauty. While many of the vehicles and technologies on display at the Toyota exhibit are future concepts, some – like telematics systems such as Agent+, may be coming soon to Toyota vehicles. Tosan Aduayi, a motoring journalist since 1994, is the founder and publisher of Trendy Africa Magazine and has reported on Motoring with trademark columns (Roadrunner, Carliners). He is also the founder of Flowtran global.